Includes: Group and 1 on 1 tuition, Ferry ticket. 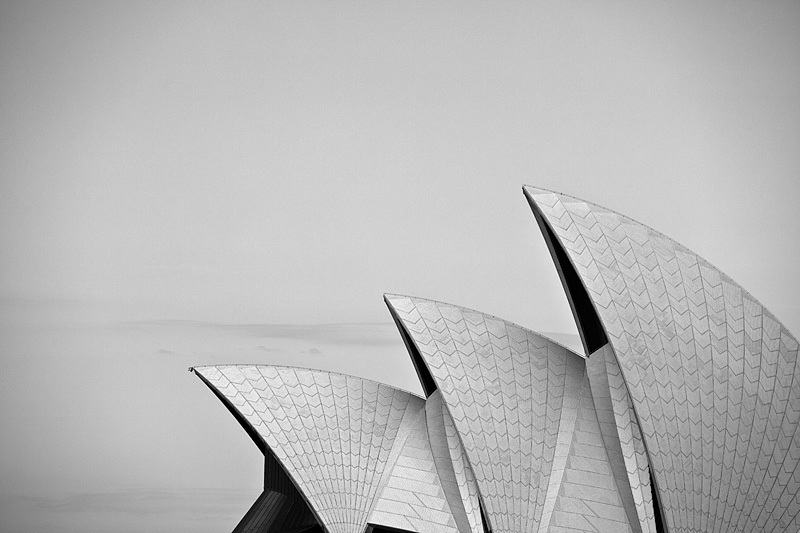 If you live in Sydney and are serious about creating, improving and advancing your photography skills and you want to learn how to use your camera in a personal relaxed environment while photographing the amazing city of Sydney then you need join Matt on this course. 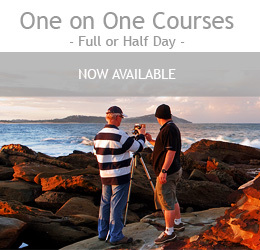 This popular landscape photography course will take you around Circular Quay shooting Sydney's iconic landmarks like you have never thought or considered before at the best times of the day as you draw on Matt's extensive knowledge of photography and local knowledge of shooting in Sydney for over a decade. At the end of this course you will know how to use your camera inside and out, you will take great photos and best of all you will know how and why they are good so you can now do it every time. Shoot and explore the gems of Sydney's amazing harbour. See and create shots you never thought existed. Milsons Point, Luna Park, Sydney Opera House, Sydney harbour, Observatory Hill too name a few. Small participant numbers allows plenty of 1 on 1 tuition from Matt during the day. Course handouts, images and video shown on the iPad during the day to complement and re enforce learning objectives. Take home a detailed 50 page course work booklet. Learning the essential techniques to great images from a professional digital and film photographer. Receive a pre course learning kit so when your course day arrives you can hit the ground running. Ferry Ticket from Circular Quay to Milsons Point and return. Meeting point is the rotunda at Observatory Hill. This course goes for approx 8 + hours. The course takes in sunset so the start time will be subject to the time sunset is. Suitable for complete beginners to serious amateurs. During the day there is a good amount of easy-pace walking between each location. - Digital SLR, High end Point and Shoot OR Film Camera. - Tripod is required. (One can be borrowed on the day). - Sturdy, Comfortable Walking Shoes. - Suitable clothing for all wet and dry weather conditions. Each tour is limited to only 8 participants. Correct camera menu and display set up, understand the three shooting modes, TV, AV and Manual, when to use them and how. Jpeg V's RAW (What's best and why), Discover the relationship between Aperture, ISO and Shutter speed. Understand your depth of field and control what's in focus. Control your shutter speed and create movement effects. Explore techniques like Exposure and Shutter Blending. An essential skill and something any landscape photography should know and master. Learn to shoot and create your own high resolution, detailed panoramas (No expensive equipment required). Part 4. WORKING WITH LIGHT AND FILTERS. Knowing and using the natural light in the city to your advantage, learn how to predict it and read it. Learn how to shoot at night correctly. Learn to use Natural Density and polarising filters correctly and creatively to enhance your images. Lets have a detailed look at not just the physical composition of an image, but also the composition of light and shutter speed to make your image POP. Part 6. FROM CAMERA TO PRINT. A detailed look at how to manage your images correctly, process them and how to print your images at home or at a pro lab. Course participants 6 - 8 max. The course is set in and around Circular Quay where we visit many of the common lookouts and also some tucked away special places. Shoot the city on sunset and the lights of Luna Park. :: View the full course details / pricing here. Explore the gems of the Central Coast like the Skillion, Avoca Beach, The Haven, Wamberal, Spoon Bay to name a few. Then settle in and take in sunset and put the days knowledge to full effect. Visit hidden away places in this world heritage listed photographers paradise. Capture ancient waterfalls, wide open canyons and then settle in and shoot the Three Sisters on sunset. Transport is provided. 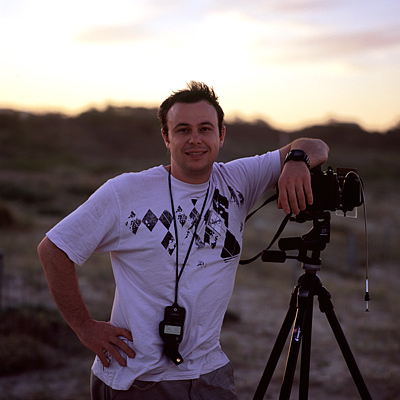 Matt is a full time landscape, surf and aerial photographer based on the Central Coast and has been in the industry for over a decade. He currently runs his own professional canvas and photo printing and framing lab which handles all his own work and it is also open to the public to use as well. Matt launched his own publishing company which now handles all the printing and distribution of his books, postcards and greeting cards around Australia. Subscribing to our newsletter will provide you with current specials that are now on the site, new images that have been added over the past month, whats planned for the month ahead and any other information we think you would like to know. © All Images and content are Copyright 2019 Matt Lauder Photography | Please dont steal any images from this website, it's not nice ! !